Opening Hours: Open from 10am to 5pm. Wheelchair accessible, Restaurant serves a la Carte lunches opens from 12pm to 3pm. 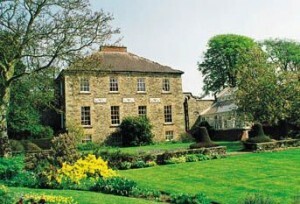 The Gardens at Kilmokea, which covers some seven acres, fall into two distinct parts. Around the House are formal Walled Gardens; set into this stonewall is a heavy wooden door which leads to the magical lower Garden. Originally started in 1947 these gardens host a wide selection of rare and tender Trees and Shrub, with over 130 different species, the Garden is a delight to both the keen amateur and the more serious horticulturalist. Presently, Kilmokea holds the Irish Garden Heritage Certificate, which is a justifiable reward for years of creation and dedication.